Emma chose to get into landscape architecture after her careers adviser in High School recommended it based on her interests – art & being outside. 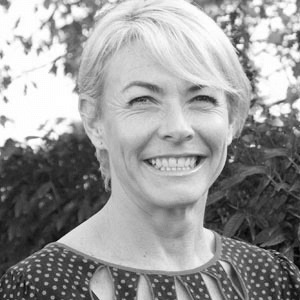 After graduating from Lincoln with a Bachelor of Landscape Architecture (Hons) in 1994, Emma joined a design build firm in Auckland and worked on varied projects including residential and commercial. Following this she traveled to the Cayman Islands where she worked as a Landscape Architect on commercial hotels and apartments before continuing on to the UK, where she designed private residential properties in-between her travels throughout Europe, Asia and South America. During these travels she was even peed on by a bee in Colombia! In 2002 Emma returned home to New Zealand where she started her own design and build company, successfully serving clients throughout the Auckland region. She specialised in detail-driven residential design with particular focus on renovation work and waterfront projects. She also has a passion and broad knowledge of plant design. Looking for a change of scenery, Emma and her family decided to return to her home town of Christchurch to work as a Senior Landscape Architect and joined the like-minded team at Goom Landscapes in 2014. Outside of work, Emma enjoys spending time with her family in the outdoors, skiing, camping and relaxing.